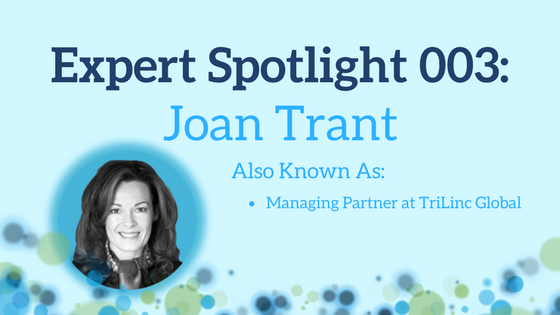 This week we’re happy to highlight Joan Trant, Managing Partner at TriLinc Global, LLC as this week’s Expert Spotlight. Joan is a key member of the TriLinc Global Management team, and a member of both the Investment Committee and the Sustainability and Impact Committee. Joan works hard to progress the impact investing movement through participating in conferences, educating financial advisors and investors, and developing new talent for the industry. Joan has a lot of experience in microfinance serving as the Executive Director of the International Association of Microfinance Investors (IAMFI). IAMFI led the microfinance investment industry with proprietary research, contributions to third party publications, educational and networking meetings, tailored member services and consensus-building for investor best practices. Prior to IAMFI, Joan was Deputy Executive Director of The Resource Foundation, supporting community-building programs in 20 Latin American countries, benefiting annually 4.6 million under-served children, youths, women and men. Perhaps most notably, in here Impactful Insights interview, we learn that Joan has always had a knack for finance and for making a difference. Starting from watching her father travel, she learned universal truths about human nature and has applied that knowledge to finance with a focus on making an impact. To learn more about Joan Trant, and to check out more of her content, find her expert page here.